Kit contains 10 posts and a selection of speed limit signs. 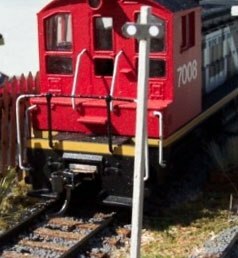 Osborn Model Kits manufactures an extensive line of HO scale scenic detail parts. The kind of things that modellers tend to miss when building there layout. All kits are laser cut and plywood is used wherever possible as it has the greatest advantage to resist warping when painted. Bass wood is used for non structural parts like posts and ties. Our kits are simple construction, both experienced and amateur modellers will enjoy building these kits. We know that you will find something that you will need to complete that scene!